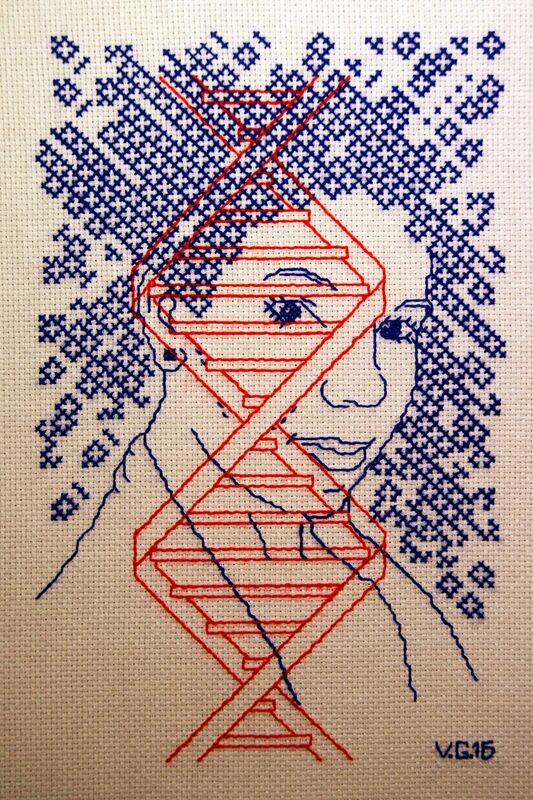 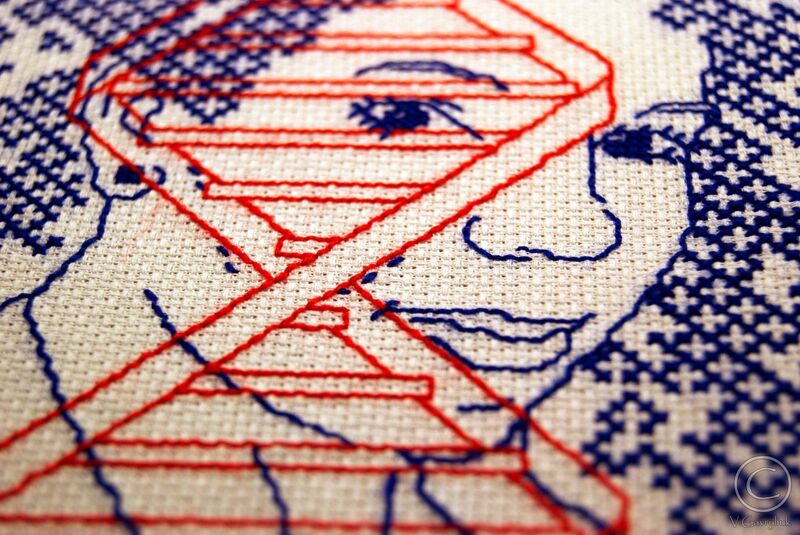 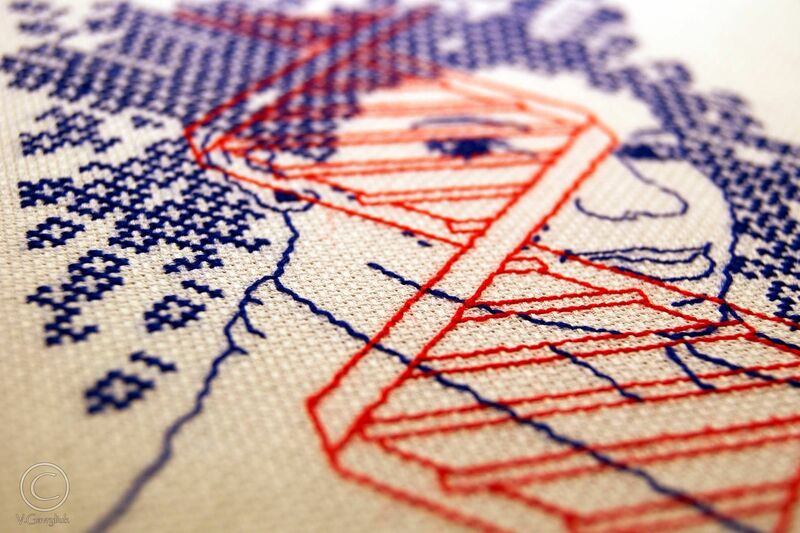 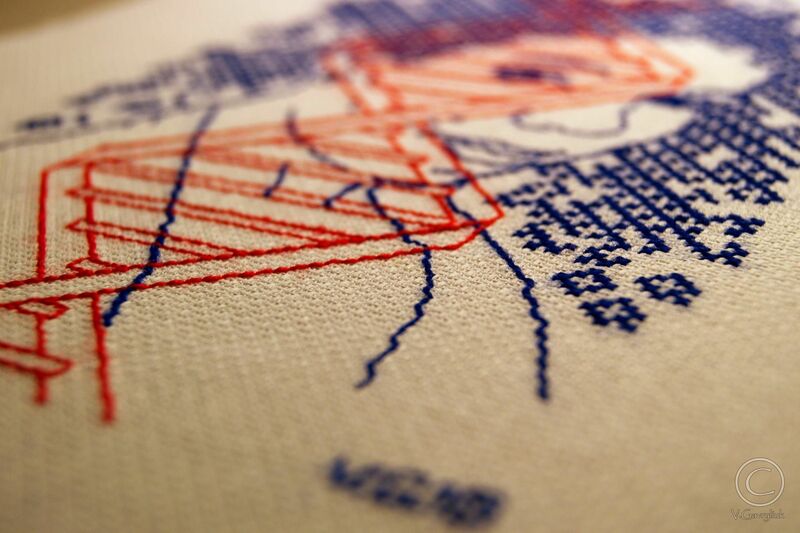 I have finished my last Cross Stitched DNA piece for The Thread of Life Project by Sharon Mossbeck. 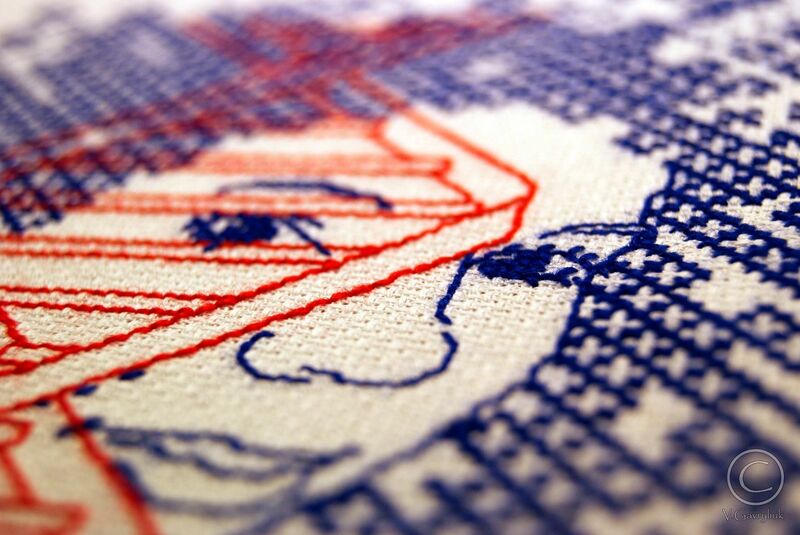 This is cross stitched Sharon portrait and I hope she like it. 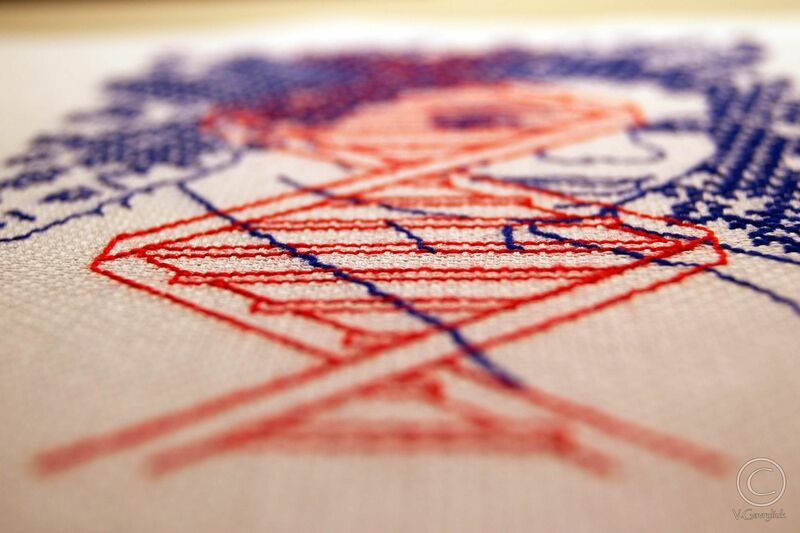 Art piece will be exhibited in 2nd-14th April 2016 on The Thread of Life Cross-stitch Exhibition in Cromford Mills Gallery (Mill Road, DE4 3 Matlock, Derbyshire) UK.